The nurse who had been forcibly quarantined in New Jersey over fears she was exposed to the Ebola virus while volunteering in West Africa has been released, officials said Monday afternoon. 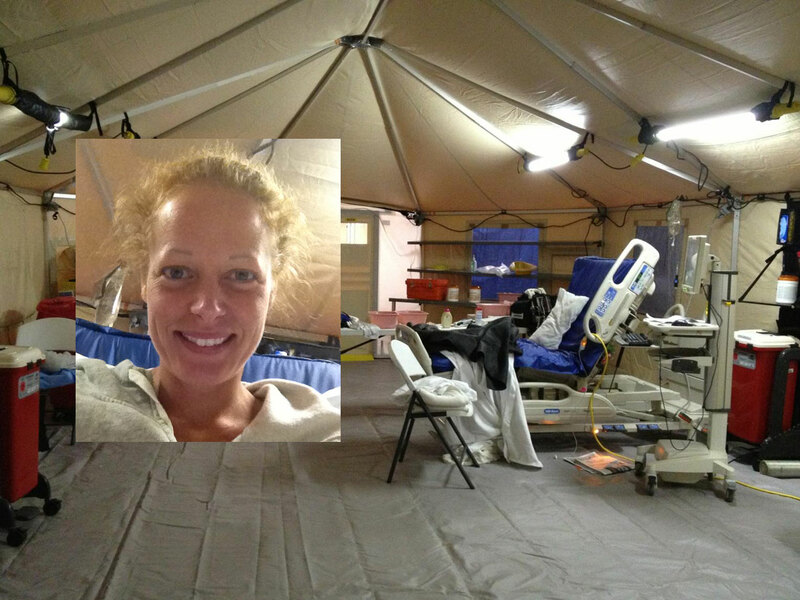 A spokeswoman for University Hospital of Newark says Kaci Hickox was released at around 1:20 p.m. Monday and left the hospital in a private vehicle. The state Health Department said she will be taken to Maine, where she lives. Maine's protocols will require the nurse to be quarantined in her home in Fort Kent for 21 days after the last possible exposure to the disease. Gov. Paul LePage said he understands health care worker's desire to go home after working in West Africa but says "we must be vigilant" to protect the health of others. Hickox said over the weekend she planned on filing a federal lawsuit over her confinement at University Hospital, adding she felt "like a criminal." "When she has time to reflect, she'll understand," New Jersey Gov. Chris Christie said at a campaign event in Florida Monday. In a statement, the New Jersey Department of Health said she has been asymptomatic for the last 24 hours. "After being evaluated in coordination with the CDC and the treating clinicians at University Hospital, the patient is being discharged," the statement read. Hickox's detention has set off a debate about how to handle the numerous healthcare workers returning from volunteering in West Africa. New York, New Jersey and Illinois have instituted mandatory 21-day quarantines for those considered to have had high-risk exposures. State leaders in New York and New Jersey have been at odds with scientists over their decision to enforce the quarantines. The two governors late Sunday night emphasized separately that their policies permit home confinement for medical workers who have had contact with Ebola patients if the workers show no symptoms. They will receive twice-daily monitoring from health officials. The emphasis on home confinement was at odds with the widely criticized treatment of Hickox, who was forcibly quarantined is a New Jersey hospital isolation unit even though she said had no symptoms and tested negative for Ebola. The White House and numerous health officials have expressed concern over the policy, saying it will deter people from volunteering to stop the disease in West Africa itself, widely considered the best way to stem the outbreak. Hickox told CBS News chief medical correspondent Dr. Jon LaPook that chief among her concerns and that of others is the seeming ad-hoc way in which these quarantines have been implemented. "When you're talking about doing the quarantine it seems like audibles are being called, it's being done on the fly," LaPook said. "This is something that has to be thought out." Could mandatory Ebola travel quarantines do more harm than good? Hickox told LaPook some evidence of this comes from the fact that her isolation room in Newark had no shower and only a simple porta-potty with minimal privacy, and that she was for a time given only cold scrubs to wear -- and all this despite that fact that she tested negatively initially. In its statement on Monday, the New Jersey Department of Health said: "While in isolation, every effort was made to insure that she remained comfortable with access to a computer, cell phone, reading material and nourishment of choice." The nurse hired a well-known civil rights lawyer, Norman Siegel, over the weekend to get her out of isolation. Siegel told the New York Times in an interview: "The policy infringes on Kaci Hickox's constitutional liberty interests. The policy is overly broad as applied to Ms. Hickox and we are preparing to challenge it on her behalf." On Sunday, the White House pushed back against the quarantines imposed by New York, New Jersey and Illinois after President Obama called a meeting of his public health and national security experts working on the Ebola crisis. "We have let the governors of New York, New Jersey, and others states know that we have concerns with the unintended consequences of policies not grounded in science may have on efforts to combat Ebola at its source in West Africa," a senior administration official said in a statement. New York Gov. Andrew Cuomo said quarantines in medical facilities would only be used in some cases, such as if the health care workers were from states other than New York or New Jersey. For workers under home confinement, family members will be allowed to stay, and friends may visit with the approval of health officials. Workers displaying any symptoms will go straight to the hospital. "We're staying one step ahead," Cuomo said Sunday night. "Some people say we're being too cautious. I'll take that criticism." Under the protocols Cuomo detailed, the state also will pay for any lost compensation if the quarantined workers are not paid by a volunteer organization. Cuomo had criticized Dr. Craig Spencer, who tested positive for Ebola on Thursday, for not obeying a 21-day voluntary quarantine. On Sunday, he called the health care workers "heroes" and said his administration would encourage more medical workers to volunteer to fight Ebola. The argument against the quarantines, as delivered by Anthony Fauci, the head of the National Institute of Allergy and Infectious Diseases at the National Institutes of Health (NIH) Sunday on "Face the Nation" was this: Health care workers might be disincentivized from traveling to West Africa to fight the epidemic if they know they will be greeted by an automatic three-week quarantine when they return home. Mr. Obama has directed his team to develop new guidelines for health care workers coming home, and in a statement following the meeting Sunday the White House said a new policy "should be crafted so as not to unnecessarily discourage those workers from serving." But there's no indication those guidelines will change the approach of two of the states, New Jersey and Illinois, that have established mandatory quarantines.